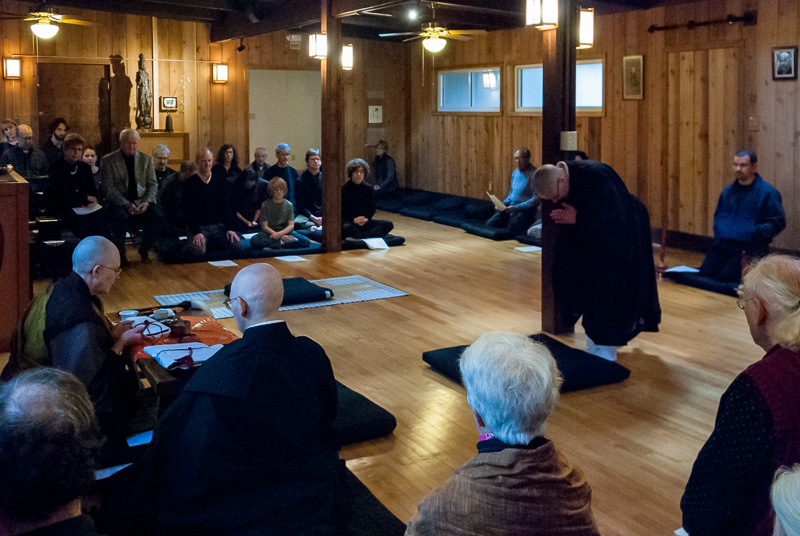 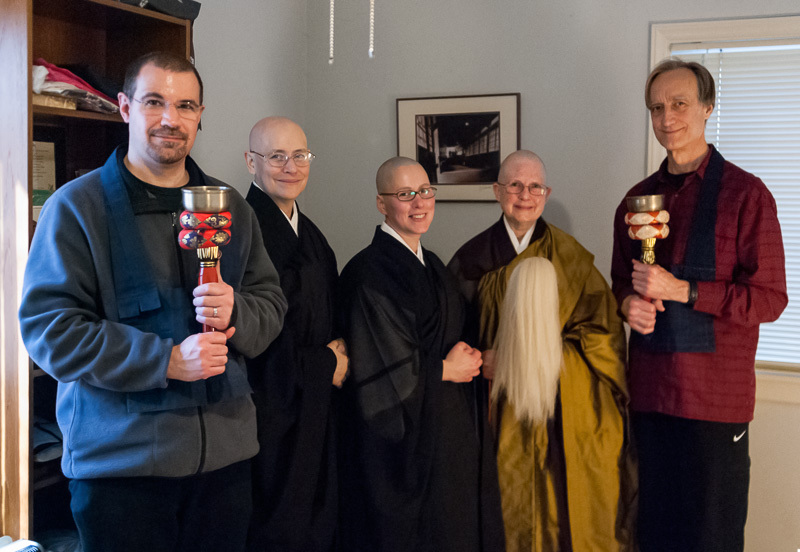 Sunday January 18 started with clouds and rain but clear skies prevailed by midday, in time for the ceremony of homeleaving and receiving the precepts as a priest for Myokyo Zenki (Bright Mirror, Total Function), Kathleen Batson. 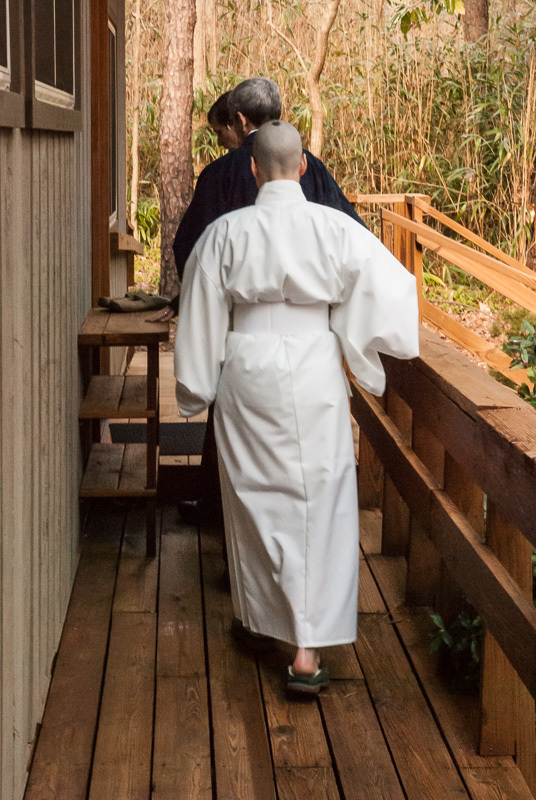 This was the fourth time we had shukke tokudo at Red Cedar Mountain. 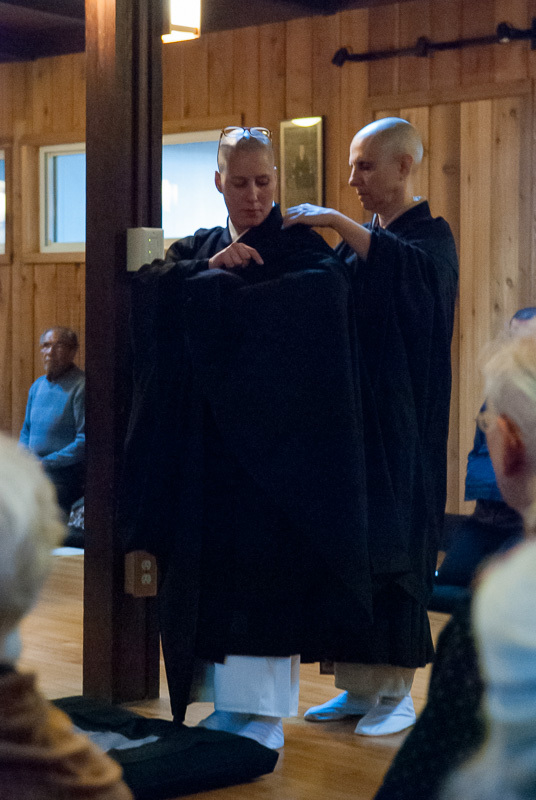 Preparing for this ceremony involves much effort over many months, on the part of the person to be ordained (each, with help, sewing their own okesa or priest robe and other accessories), the ordination master, the sewing teacher and many others. 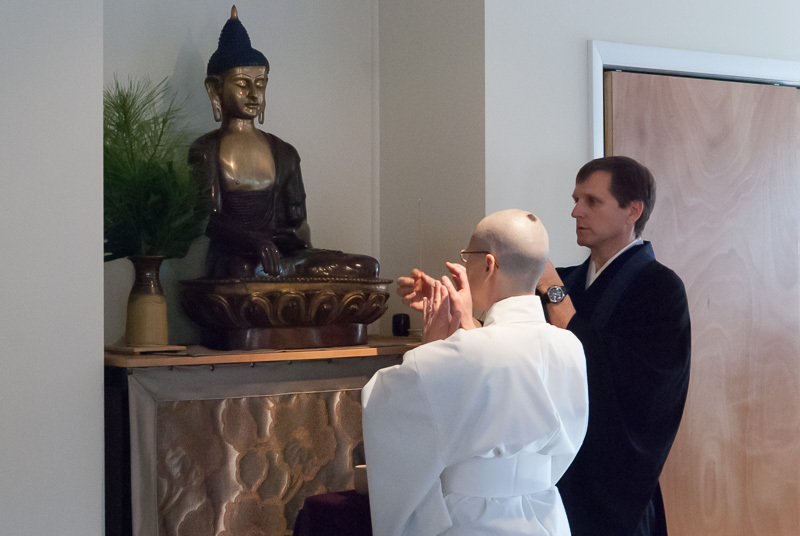 The ceremony begins with the ordainee offering incense at all the altars of the temple and then arriving in the zendo to begin the ceremony itself. 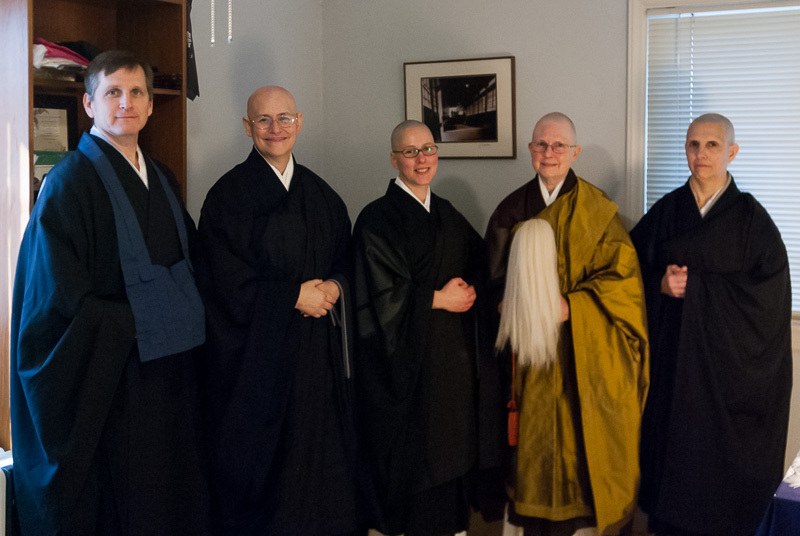 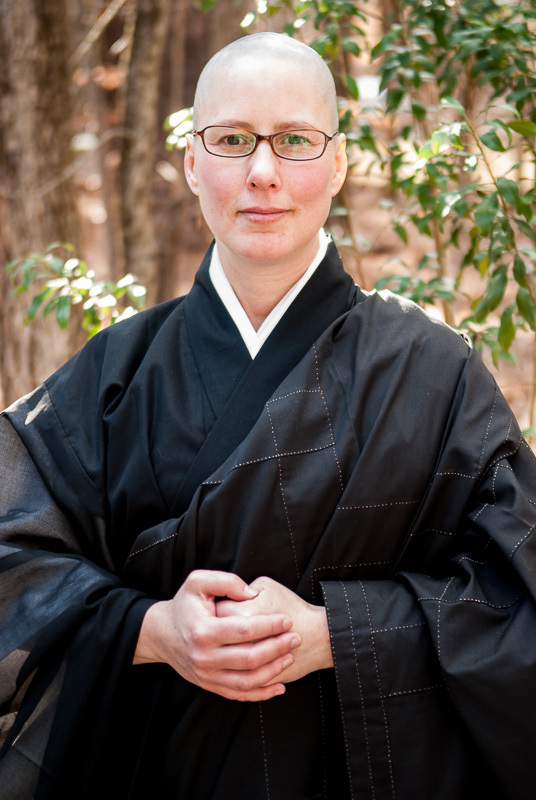 The official photo for the Japanese authorities of Soto Shu – yes, her head was shaved! 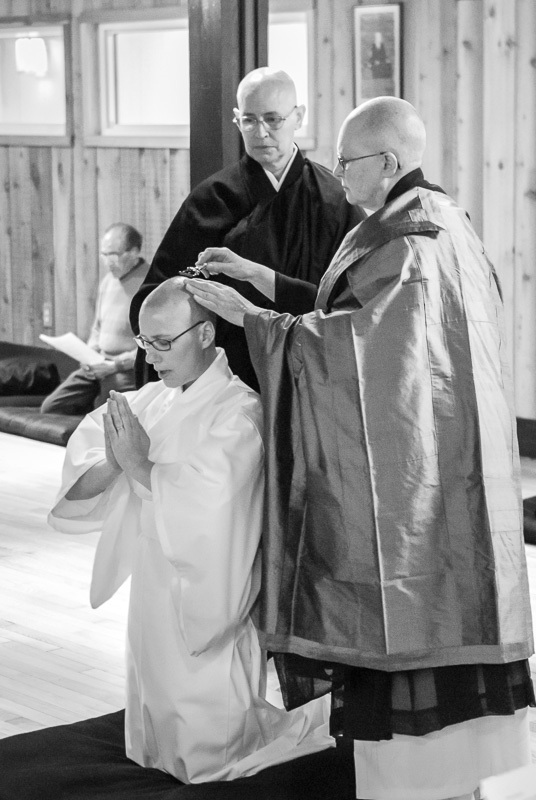 Zenki’s vows were witnessed by her family, including her husband and son, friends, and sangha, and followed by a lovely reception. 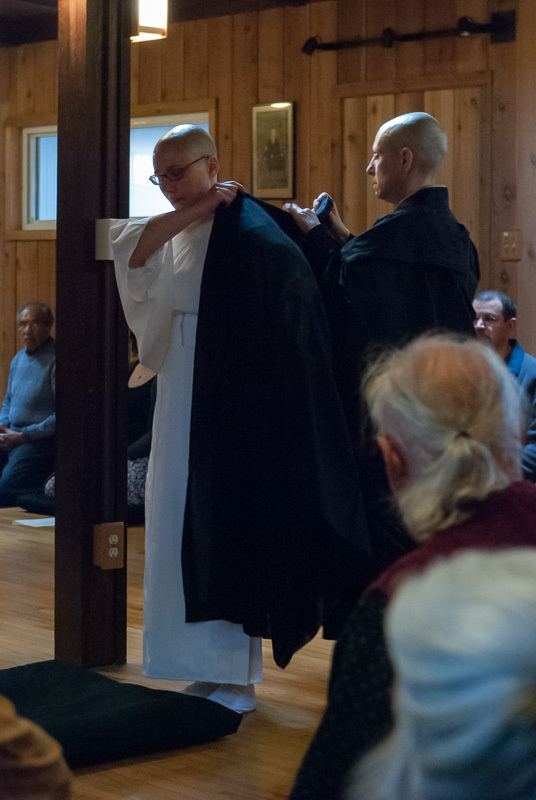 The new priest receives, in addition to her robes, the priest’s eating bowls and lineage papers.